A bantamweight title fight between Paul Butler 26-1 (14) and Emmanuel Rodriguez 17-0 (12) for the vacant IBF crown has been added to the undercard of the rematch between former WBC cruiserweight champion Tony Bellew 29-2-1 (19) and former cruiserweight and heavyweight titleholder David Haye 28-3 (26) at the O2 Arena in London on May 5. The 29-year-old Butler from Cheshire is ranked in the top 10 by all four of the major sanction bodies, while Rodriguez, 25, is IBF number three and WBO number six. Butler has bounced back from his lone career loss to current WBO bantamweight champion Zolani Tete of South Africa in a bout for the IBF super flyweight title three years ago with nine straight victories, including six stoppages. 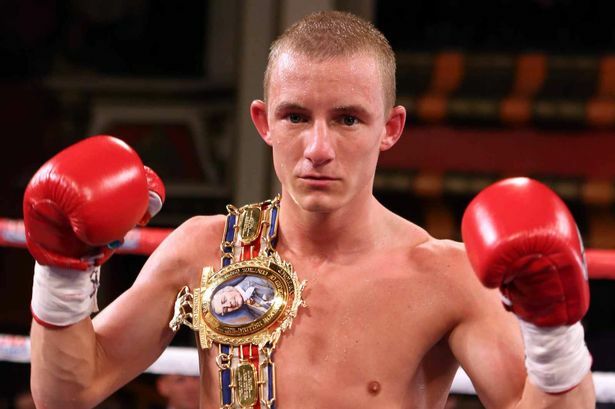 Butler has made changes to his team during that time, replacing promoter Frank Warren with Eddie Hearn and switching trainers from Anthony Farnell to Oliver Harrison, followed by Joe Gallagher. “It’s the reason we came over to Eddie in the first place, I knew he would deliver the big fights for me,” the former IBF 118-pound champion told the Give Me Sport website. “I want to win it back, then hopefully defend, which I didn’t have the chance to do last time. It sounded a good idea at the time to vacate, but looking back now, I should have kept hold of the belt. Butler says he has only just started looking at clips of his opponents under the tutelage of Gallagher, something he never used to do, and says that the unbeaten Puerto Rican is a tougher out than Stuart Hall. “It’s a tougher test than the last time I won the title (against Stuart Hall), but I’m up for the challenge. I’ve improved myself,” he said.